The original How To Train Your Dragon still stands out as one of the better Dreamworks efforts of the modern post-Pixar era, so much so that its surprising that it took this long for it to become a bonafide film franchise. In this long awaited second installment, the characters have all aged in line with the gap between films, and all around the movie feels like a concerted attempt to transform what started out as a story about a boy and his dog/dragon into a decidedly more adult affair, with accepting responsibility being the moral of the day. 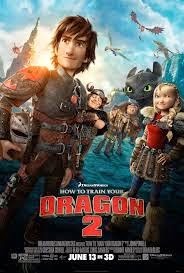 Of course there’s still enough goofy slapstick and cartoony antics to engage younger kids, but overall, How To Train Your Dragon 2 is that rare sequel to a kid’s film that understands that in order to appeal to the same audience as before, it has to grow up and mature right alongside them. 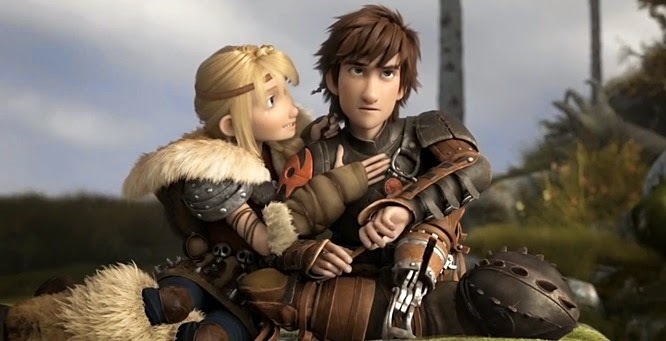 As we learn in an extremely brief opening monologue designed to punish latecomers, How To Train Your Dragon 2 is set five years after the vikings of Berk learned to love the dragons they’d previously hated and feared, going from a society of dragon hunters to dragon riders thanks to the influence of young Hiccup, the once wimpy and now sort of less wimpy son of the chief, and his relationship with a friendly dragon he names Toothless. 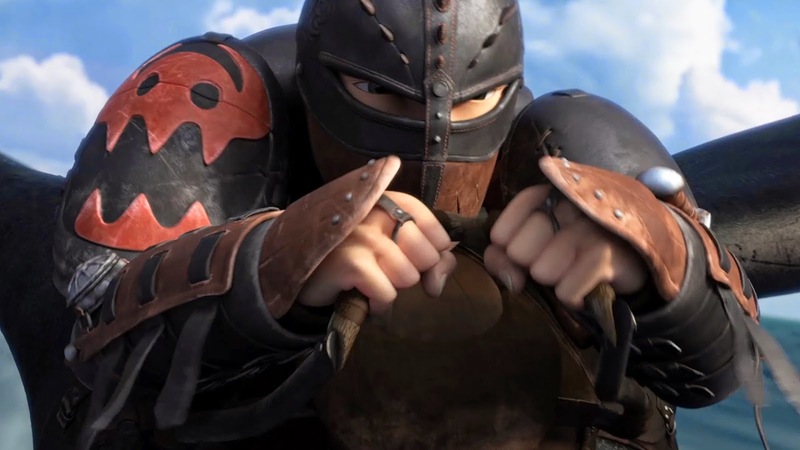 When a mysterious warlord with a more brutal and authoritarian means of taming dragons builds an army of them to take over the world, Hiccup goes off on a journey of self discovery that leads him to answering lingering questions about his past and assuming his rightful place among his people. That is, If you care about any of that, as if the concept of dragon armies fighting each other wasn’t enough. The action is as colorful and as fun to watch unfold as in the first film if not a bit more so, but the story is where this sequel truly surpasses the original. 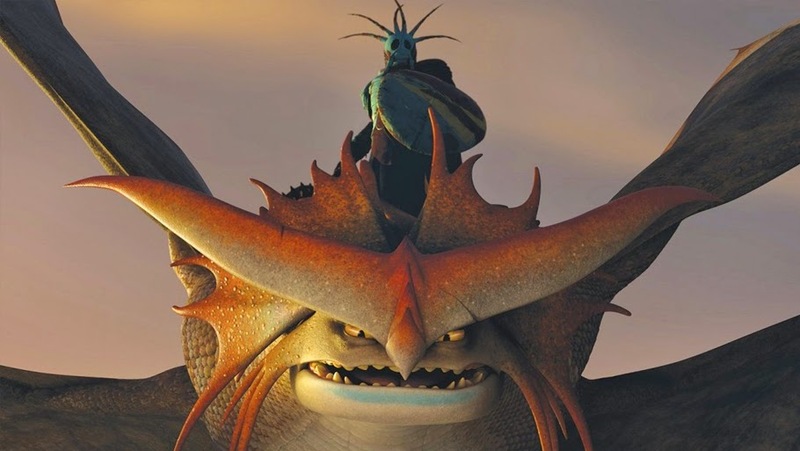 Both Hiccup and Toothless are on parallel missions without even knowing it, both destined to face trial and tragedy on their way to finding out where they belong in the new world they’ve helped create, and though it never goes so dark as to be disturbing or alienating, the movie doesn’t pull any punches when it comes to establishing the stakes. 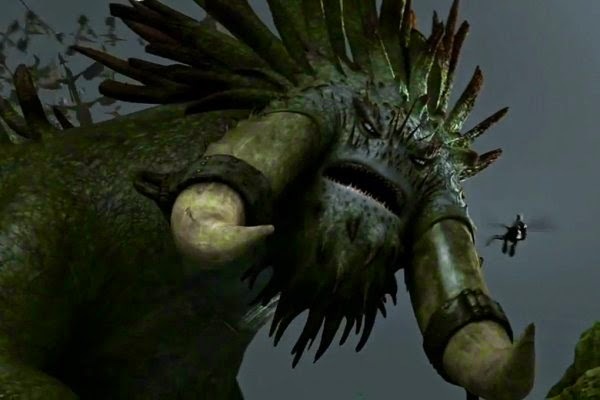 As shown in the trailer, this film finds him reconnecting with his long lost mother and discovering that they’ve shared a bond through kinship with dragons despite never knowing each other, and this is but one of the many steps the film takes to build upon the happy ending of the previous film just to set us up for the inevitable fall. There’s at least one significant death, and its not just the fact that it happens in a kids movie at a time when it almost never happens in kids movies anymore, but its the precise way it happens that makes it so striking. Then there are moments obviously designed to milk the tears out of your face, the most obvious being the first reunion between mother and son and the subsequent reunion between husband and wife, but they're pulled off so well that it never feels as manipulative as it obviously is. At many points, this feels like a film working under the long lost philosophy of that fallen animation legend Don Bluth, namely that as long as you can be sure that everything will turn out alright in the end, it doesn’t matter how traumatizing it is along the way. I especially appreciated the tension established between the various schools of thought when it comes to dealing with dragons, which serves to illustrate a more complex moral center to the movie than just good guys fighting bad guys. Hiccup is at the center of three governing philosophies, that of his own people who treat dragons like pets, his mother who treats them like equals (or maybe even as her superiors), and the villain, who tames them and treats them like slaves. But the villain isn’t evil per se, or at least his reasons for seeing dragons the way he does are better articulated than most movies would feel is needed, and his harsh treatment of them seems to conform just as much with how the dragons behave naturally than any of the other methods of controlling them. In the end, Hiccup isn’t given a clear path or ready made solution as much as he wants one, and has to figure out for himself what kind of dragon rider, and what kind of man, he’s going to be. Free from the need to establish its historical fantasy setting, HTTYD2 feels much more comfortable living and breathing within it, trusting the audience to automatically accept the idea of humans and dragons living and working together and eschewing too much unnecessary exposition or hand holding in favor of almost nonstop magic and whimsy. So many scenes in the movie just serve to show how much ridiculous fun it would be to have a pet dragon and fly around a mystical landscape with other dragons all around you. Its D&D nerd wish fulfillment, but accessible enough that anyone with even a passing familiarity with fantasy films can appreciate it. If you’re the kind of person who grooves on knowing all the names of dragon species and their respective traits and powers, you get that, or you can ignore all of that completely and just go along for the ride. As with the original, really the only bad thing I can say about How To Train Your Dragon 2 is that once again, Jay Baruchel has no business sullying this otherwise wonderful production with his complete lack of charisma and talent. His smarmy, nasally voice works even less for the character of Hiccup now that he’s supposed to be older and more confident, which I only got as character evolution because the movie told me so, as I never would have guessed that he’d changed at all from the glaringly lazy performance. Every time he opened his mouth, I couldn’t help but cringe as I thought of all the better actors that could have brought this teenage dragonlord to life. Was Will Friedle too obvious, or was he just busy that week? I know its probably too much to ask to recast at this point, but its bad enough that I almost hope its twenty years before the next one, just to justify casting someone who sounds like he’s gotten past puberty. Still, that’s a relatively small complaint in the grand scheme of things even if he is the lead, and it wasn’t enough to even come close to ruining my enjoyment of this movie. It gets pretty much everything else right and easily knocks out The LEGO Movie and Mr. Peabody and Sherman as the animated film to beat so far this year. I’m still holding out hope for The Boxtrolls considering how much LAIKA studios wowed me in 2012 with Paranorman, but at least for the moment, How To Train Your Dragon 2 is the best source for your fantasy fix currently in theaters, and whether you nerd out over this stuff as much as I do or just consider yourself a casual fan of the genre, you won’t be disappointed.